​How NES Technologies Work with the Energy of the Body. The NES Total WellNES system and NES Health BioEnergetiX Wellness System is designed to read, communicate with, and stimulate a change in the energy of the body. The miHealth can also be used off of the body in ‘broadcast mode’ using pulsed electromagnetic fields (PEMFs). Read our article, PEMFs & the NES miHealth to learn more. After reviewing any of the following links click the back arrow to return back to this website. 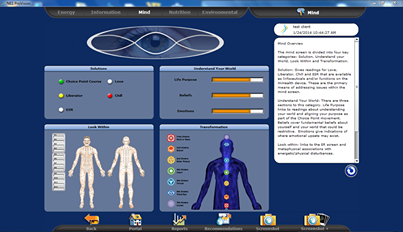 You can learn more about the miHealth as part of the Total WellNES system here. How NES Technologies Work with the Information of the Body. The information of the body is a bit like the software of a computer, telling the body’s biochemistry how to organize and structure itself. If you have a perfectly operating software, your body knows precisely what to do and can repair itself. Essentially the body is able to work off of a blueprint or set of information codes for optimal health and homeostasis. Thanks to Peter Fraser’s mapping of the human body-field and its ‘optimal states information’ over the past 30 years, we have developed the Total WellNES System, and specifically NES ProVision, our advanced analysis software. 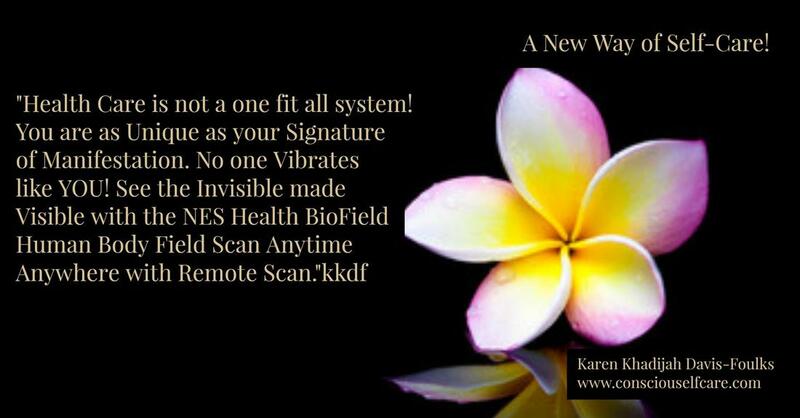 NES ProVision reads the information of the body by sending the information from our map of the human body-field (via the miHealth or with a separate scanning device) and then reading the response that comes back to each individual part of the map. The entire scan is completed in a few seconds. Once the scan is completed, the software returns a graphical representation of any located distortions in the body’s information, as well as recommendations for therapy—including identified NES infoceuticals that are recommended for use. These will then stimulate the body’s healing response and correct the noted distortions. Re-Imprint optimal functioning and correct distortions in the body's information with our range of liquid NES Infoceuticals imprinted with proprietary bio-information. Realign purpose with the Choice Point Course, helping your client on their life journey to make wiser and more informed choices. ProVision Advanced Analysis Software allows you to see beyond your client's symptoms to clearly distinguish the distortions in information, any present energy blockages, and recommended nutrition for rebuilding the body. Backed by more than 30 years of scientific research and over a decade of clinical studies and practitioner use, NES ProVision delivers immediate, detailed and accurate analysis. Best of all, the software's robust analysis is exceedingly easy to both perform and understand. By simply connecting your miHealth or special scanner, with a single click and a few seconds, the software will return a richly detailed overview including multiple screens and physiologically accurate graphics. Nutritional Analysis: highlight challenges in absorption and metabolic processes and identify sensitivities, malabsorption, and intolerance to certain foods. Environmental Analysis: detect functional damage to the body-field via specific environmental factors, toxins and EMFs and the body's resultant ability to handle their impact when present. Emotional and Mental Analysis: identify core emotions, beliefs, and even challenges in an individual's overall ability to create and actualize in life... that are most prominent or potentially problematic. Also identify past shock and trauma that may still be presenting as conflicts or which are stored in the body-field as tissue, cellular or energetic memory.